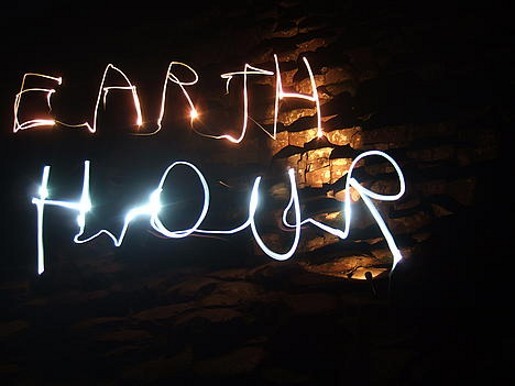 Earth Hour, the WWF initiative started in Sydney in 2007, has been run for the fourth time, on a global basis. The 2.2 million Sydney homes and business who turned their lights off in 2007 have been joined across the world by millions of people making a stand against climate change. Well known landmarks the Sydney Harbour Bridge, the CN Tower in Toronto, the Golden Gate Bridge in San Francisco, and Rome’s Colosseum, were joined this year for the first time by Mount Rushmore in South Dakota, Niagara Falls at the U.S./Canada border, the Leaning Tower of Pisa in Italy, the Great Pyramids in Egypt, Table Mountain in South Africa, and the Hiroshima Peace Memorial in Japan. Participants are encouraged to share their involvement with others online, using Flickr, YouTube, Twitter (#earthhour), Facebook and blogging. Here’s two commercials from WWF in the USA, using children to promote Earth Hour. The Mt Rushmore lights, normally turned off at 11 pm each night, were switched off at 8.30 pm instead. In future the lights will be turned off at 9 pm each night. WWF USA recruited a number of celebrities to endorse the Earth Hour 2010 initiative, including Gisele Bundchen, Tom Brady, Steve Nash and Edward Norton.